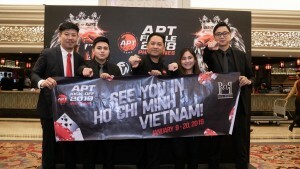 2018 has been an absolutely fantastic year for the Asian Poker Tour. We hosted a total of 9 highly successful events around Asia with big guarantees for nearly all of our featured events. With the addition of new stops such as Ho Chi Minh City and Seoul and a return to Incheon, our numbers have exploded. 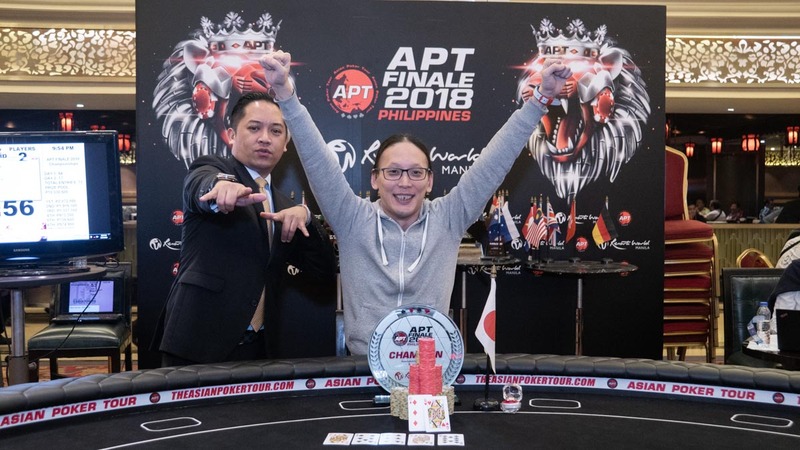 And now the calendar season has ended right here on home soil with the APT Finale Philippines wrapping up its ten-day run at Resorts World Manila. The last festival of the year ran from November 27 to December 6. In total there were 19 event victors, congratulations to every single one of them! 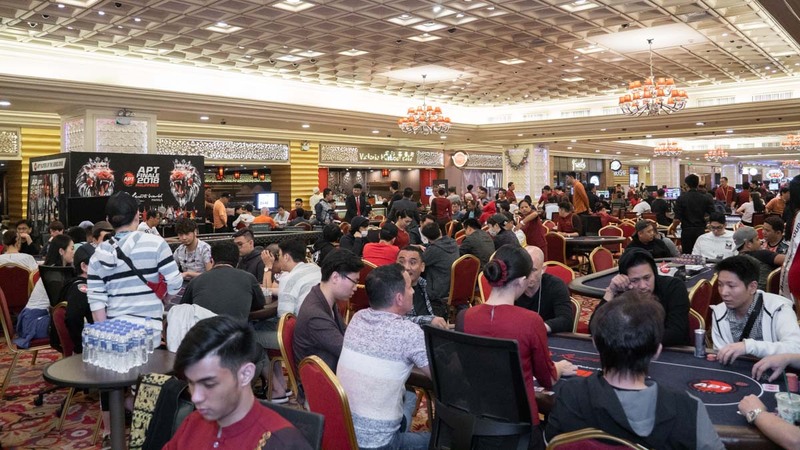 The event amassed an overall prizepool of PHP 54.4 Million, 1962 entries, 561 unique players, and 43 countries represented. The Japanese came out as the biggest winners claiming both featured events. We would like to thank everyone that came out to support our event here and throughout the year. Enjoy the upcoming holiday season and we look forward to seeing all of you in 2019! Kickoff is back in Vietnam! In addition to the event winners, the final day also defined the top three of the APT Player of the Series race. As seen plenty of times, it came down to the wire. Entering the final day Mike Takayama led. Trailing just behind was Lim Yohwan who overtook after placing at the Deep Stack Hyper Turbo. However, it didn’t hold. 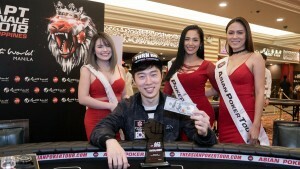 Kosei Ichinose jumped from 6th rank to the top after winning the Monster Stack Event leaving it up to the High Rollers event to determine the ultimate winner. When Takayama failed to cash, Ichinose was guaranteed the win and Yohwan 2nd place. Third place was now between Takayama and Bobby Zhang. Zhang hit the rail before the money for Takayama to take 3rd place. Ichinose was awarded the APT Player of the Series Cup, US$800, APT Player of the Series Ring, and a Meister watch. 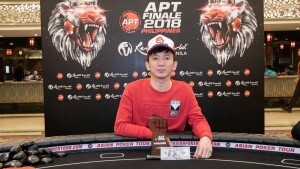 Boxer was awarded the APT Player of the Series 2nd place trophy and US$100. Congratulations to Kosei Ichinose for becoming the year’s last APT Player of the Series champion! 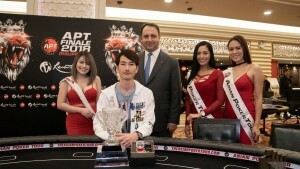 Japanese pro Iori Yogo became the first player to win a second APT Championships Event title. He overcame the 71 runners to pocket the PHP 2,872,800 first prize. See Results, Live Updates, and Final 8 recap. 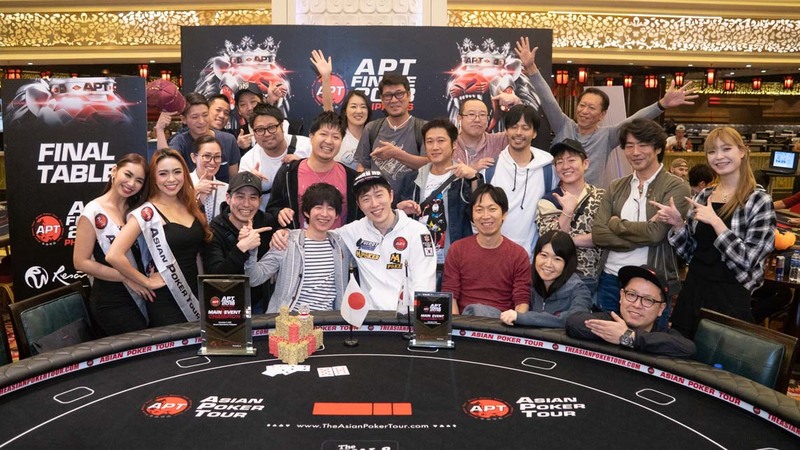 Mikiya Kudo won the Main Event for his first-ever APT title and first-ever career title. He weathered past the 307 entries to earn the PHP 2,844,200 first prize. See full Results, Live Updates, and Final 8 recap.